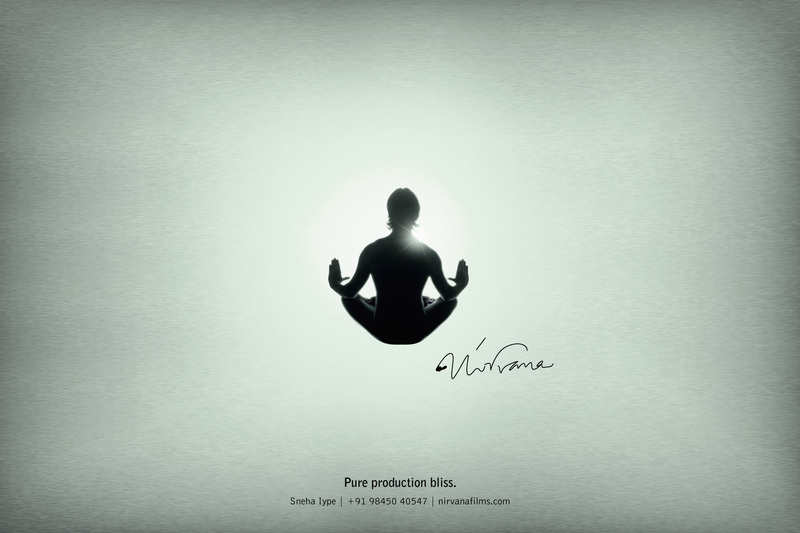 Nirvana Films is running a print advertising campaign using yoga postures to convey that the leading production house in India makes for a peaceful and joyous experience when making films. Blissful yoga-asanas, the padmasana (lotus), the vrschikasana (scorpion) and vrikshasana (tree) have been taken and given a film-making twist. Simple, impactful, bringing a smile to your lips. This simple and sophisticated campaign captures precisely what Nirvana Films offer: the joy and tranquility that goes into producing great films. 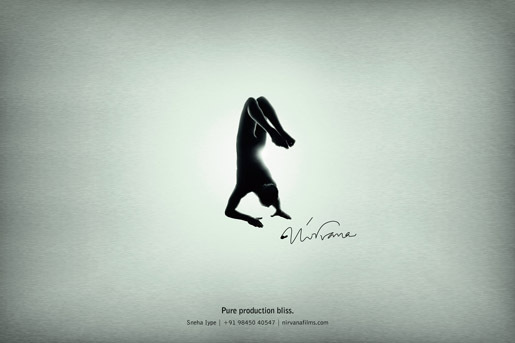 The Nirvana campaign was developed at Happy Creative Services Pvt. Ltd., Bangalore, by creative directors Kartik Iyer and Praveen Das, creative group head (art) Pradeep Ravindran, creative group head (copy) Akash Anandh, senior account executive Neelima Kariappa, account executive Nitya Kaligotla, photographer Tarun Khiwal, and studio head/retoucher Ramakrishna R.